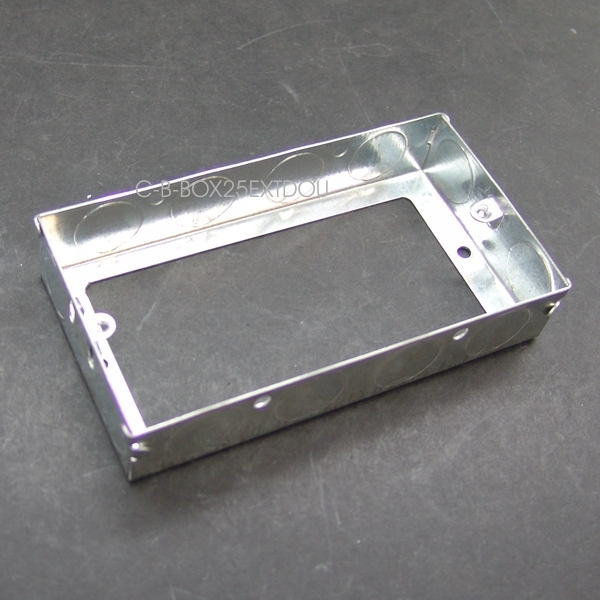 Box extension 25mm metal for twin 88mmx 144mm plates. York AV | Boxes | Double Gang (146x86) | Box extension 25mm metal for twin 88mmx 144mm plates. Designed to bolt in front of another backbox to make an extra deep rear cover for cabling.